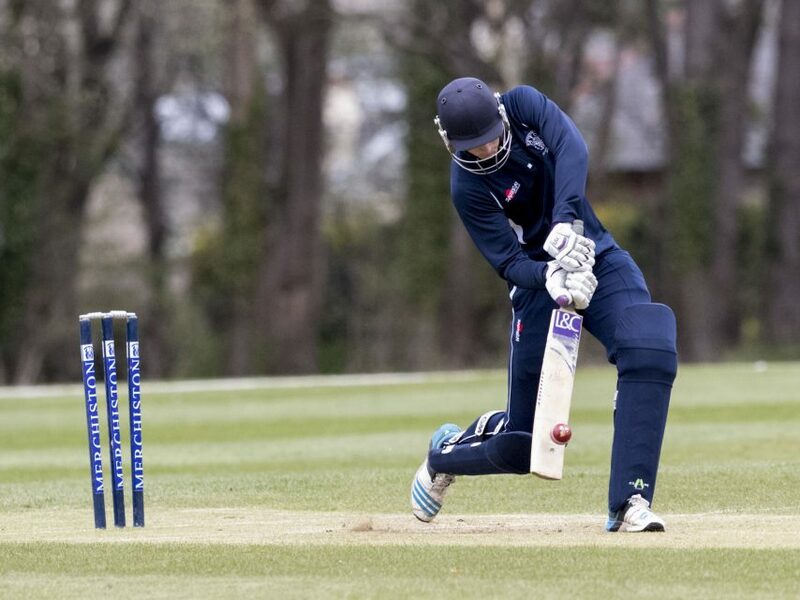 Cricket has been a big part of life at Merchiston Castle for many years and current pupil, Tom Mackintosh, is fast making a name for himself in the sport. Having grown up in Spain, the wicketkeeper/batsman was not exposed to cricket until he moved to South Africa. “I was still pretty young when my family moved to South Africa, but straight away on arriving at my new school I noticed that cricket was everywhere,” he recounts. “I got involved, and as I got a bit older, I began to really appreciate the top quality facilities and opportunities that were available to us through cricket over there. “I began to think a lot more about the sport and how it was played, and then I moved over to Scotland to attend Merchiston. Given that cricket can only be played competitively in Scotland during the summer term, Tom quickly got himself involved in other school sporting activities such as rugby and fives, but it was on the cricket field that he felt most comfortable. Having impressed for his year group teams for a couple of years, Tom was invited on the school 1XI tour to Sri Lanka in April 2017. “That was an amazing experience,” he explained. “I learnt so much about my batting on that trip because I was playing on different wickets than I was used to back in Scotland while the seam bowlers were quicker than what I normally faced and the spin bowlers posed lots of different challenges. Another school tour is in the offing for Easter 2021 – and over the last 22 months or so since the trip to Sri Lanka, Tom’s cricket has really taken off under the watchful eye of Director of Sport, Rory McCann. Having played for Ireland himself at One Day International and T20 levels, McCann has been able to help Tom with his development and made sure he balances his sporting endeavours with those of an academic nature. Since the Sri Lanka trip, Tom has starred for the school 1XI, played senior cricket at Grange, turned out for Scotland at various age-grade levels, made it into the Durham Academy and been part of the wider Scotland performance squad. “Every time you move up a level you have to refocus and get ready for that challenge and I am grateful to Mr McCann for helping me work on my batting and wicketkeeping skills while my other teachers acknowledge my cricketing commitments and help me whenever they can,” Tom stated. “I love playing for Scotland at the different levels, and my dream would be to play for the full national team one day. Being able to rub shoulders with some of the current team while at performance squad training sessions has really been a help to me. “When you train with those types of players you learn all the time while I was lucky enough to be away with the Durham Academy in Dubai over the winter which was a great experience. The likes of Ollie Hairs, Chris and Tom Sole have gone on to play cricket for the national team out of Merchiston in recent years while Angus Hinton played for Scotland under-19s. Both Soles are now playing country cricket down south with Hampshire and Northamptonshire respectively while another former pupil Jamie Crawley plays for Lancashire 2XI, so there is a pathway from the school to the next level. During 2019, Tom will carry on along his own exciting journey while cricket at the school will continue to flourish thanks to the excellent programme that is in place which includes coaching from the likes of Steve Gilmour (Eastern Knights head coach) and current Scotland bowler Ali Evans.